Leicester celebrated the greatest day in their 132-year history in style as the newly-crowned Premier League champions comprehensively beat Everton before lifting the trophy. Claudio Ranieri's men this season produced one of the most remarkable feats in sporting history, going from supposed relegation fodder and 5,000-1 outsiders to win the league for the first time with two matches to spare. 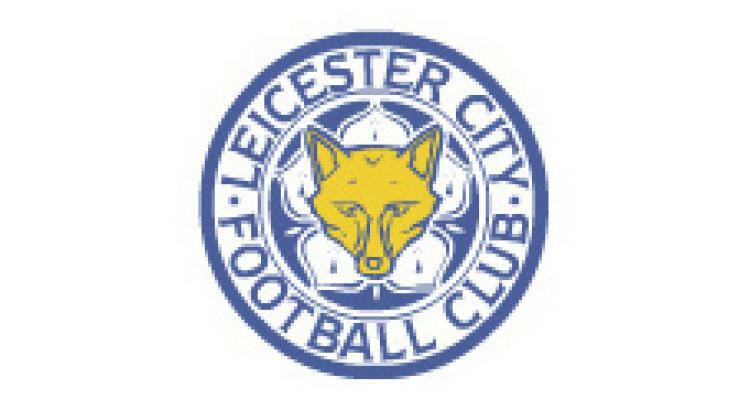 There was a magical atmosphere around the King Power Stadium for the final home match of a campaign to cherish, with Leicester winning their title party 3-1 as Roberto Martinez's side were completely overrun. City, like their fans, showed no hangover from the celebrations that have been ongoing since Tottenham drew at Chelsea on Monday, with Jamie Vardy requiring just five minutes of his return from suspension to put the home side ahead. Andy King provided the goal with a wonderful cross and the academy graduate, part of the Leicester side that won the League One and Championship crowns, struck home the second to raise the noise levels several notches. Vardy scored his 24th league goal of the campaign with a second-half penalty but missed another spot-kick shortly afterwards, although that and a late Kevin Mirallas goal were never going to stop a party that now rolls onto Chelsea and a title parade on May 16. The 100th league meeting between these clubs was a celebration more than a match, with fans partying in the city's streets and outside the King Power Stadium long before kick-off. Inflatable trophies were held aloft, flags waved and beer guzzled as fans enjoyed the most remarkable of triumphs, even cheering the thunder that echoed around the ground as a storm replaced the sunshine. The rain cleared just in time for Ranieri to lead world-famous tenor Andrea Bocelli onto the pitch, where he revealed a Leicester shirt during surreal but touching renditions of 'Nessun Dorma' and 'Con Te Partiro'. Ranieri stood there proudly as the songs were belted out and was smiling again soon after, with Everton not only giving them a guard of honour but allowing them to take an early lead. A wonderful clipped cross from King, one of four City changes, fooled John Stones and the returning Vardy read it well, directing home to raise the volume a further few notches. Joel Robles prevented King doubling their advantage soon after from a fine Riyad Mahrez cross, before Christian Fuchs was blocked by Aaron Lennon. Out-of-form Romelu Lukaku was denied by Marcin Wasilewski and Tom Cleverley clipped over on rare Everton voyages forwards, with N'Golo Kante's hopeful effort made more difficult than it needed to by Robles. The heavens opened once again as City poured forwards, with King following up fine work by Mahrez to slot home smartly when the ball fell kindly for him in the box. Morgan and Mahrez missed the target before the break, after which Kasper Schmeichel denied Oumar Niasse with an unorthodox header before preventing Lukaku. The Belgium international was again denied by the Leicester goalkeeper, whose opposite number had to be alert to deny Fuchs driving home. Robles would soon be beaten, though, as Matthew Pennington brought down Vardy, with the Everton defender avoiding a second booking but giving away a penalty that the fouled England striker slammed home. Seven minutes later, Leicester's top scorer had another chance from the spot. Having been denied a hat-trick by Robles, a wild Darron Gibson challenge on Jeffrey Schlupp saw Vardy take a penalty he blazed horribly over. Leonardo Ulloa and King flicked headers wide as the clock wound down, with Bryan Oviedo denying Vardy the hat-trick he craved before Mirallas scored an undeserved, if classy, goal - even cheered by the Leicester fans such was feel-good mood inside the ground. Substitute Demarai Gray was denied a fourth deep in stoppage time, but the home fans did not care a jot.